Thanks for the new Skimmer, its my biggest time saver. If any students out there desire to use this for pdf generated powerpoints I've taken snippets from smarg19's previous versions (nothing original from me), so that exports have indentation, bullets, and colors (colors are either from users favorite colors, or a hex value). Can be found here. @DrLulz, this is a great example of taking advantage of the Skimmer's extensibility. I'm sure it will be a great help to people. For future clarification, could you explain what Skim's "favorite colors" are and how to set them. 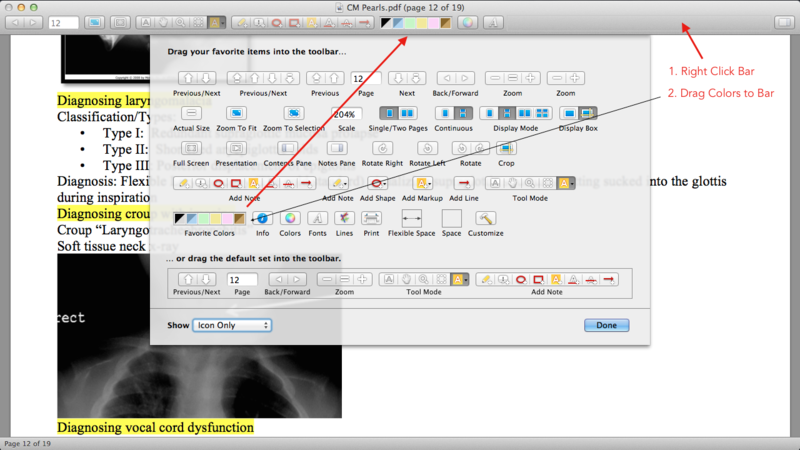 This script is great, but works off Skim's favorite colors, not the user's colors as specified in the Help PDF. While I think this is a fine alternative, people will likely need to know this important functional difference. For future clarification, could you explain what Skim's "favorite colors" are and how to set them. The default favorite colors in Skim, after a fresh install, are equal to the colors shown above (in smarg19's 2.0 update post), so if you like those colors then there is nothing that needs to be done to use this script. However, some might find Skim's default highlight colors too strong, where the color distracts from the text. If the user chooses to change these colors (shown below), then the script I posted will use these colors instead (no Applescript changes needed unless you want to change a bullet style, or the orange and red text for favorite colors 5 and 6; see below). property highlight5_body_wrap_front : "<font color=\""
property highlight5_body_wrap_back : "</font> "
hope that clarifies. I've said it before, and probably will again, but thank you x1000 smarg19 for this amazing utility. EDIT: I just remembered that if a person is reading this then they're more than likely using Alfred (duh! ), so if a person wishes to speed up the switching between favorite colors then set up a workflow with 6 hotkeys (I use ⌥+1, ⌥+2, ⌥+3, ⌥+Q, ⌥+W, ⌥+E; ⌥ = Option) linked to 6 run scripts (osascript). The Applescript is below. That was a wonderful explanation. Thank you. I'm sure your fork will be used by many. thank you x1000 smarg19 for this amazing utility. I was reading thru your script and saw a few places where it could be cleaned up. Nothing really changed, just an example of your script cleaned up. I only do this because someone once did something similar with me and it greatly helped me to see a way forward for becoming better at scripting. I forked your Gist with my slightly updated version. Read through it and see the (very) few places I made changes; hopefully it will be as helpful to you as this was once to me. I was reading thru your script and saw a few places where it could be cleaned up. Excellent. So thats how you call a handler inside a handler (I think I got that right), and the way you did the spacers was something I tried to do but couldn't figure out. When I see it like that it makes sense, so thank you yet again . Having one issue though, for some reason when I try to export it doesn't make it to Evernote. With your other script, when the export is successful, the Results section in Applescript Editor displays "Exported notes to Evernote as HTML," but here it displays the text of the first highlight. Whoops. Left in a line I was using for testing. I updated the Gist. You can get the new version. I've been playing with tags during the export, and I've found myself in uncharted water regarding Alfred (uncharted for me of course). 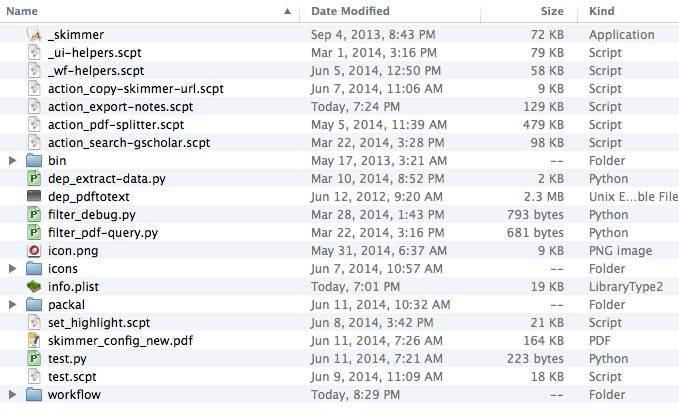 I've made it so that when I export from Skim my list of current Evernote tags is displayed. From here I can choose from this list, or create a new tag(s). Thus far I've been successful using "choose from list" and "display dialog" with Applescript, but I would like to now move these functions to Alfred, so that after I key in "export" I can see a list of my current tags in Alfred's results, or type in a new tag. I'm pretty sure I should be using the qWorkflow to display results in Alfred, but what I really want to know is the difficulty level of what I'm trying to attempt? Difficulty level = 6 out of 10. The most basic issue is that Alfred has one main limitation: it can only do one thing at a time with its interface. This means that when you pop up Alfred and key in export and it runs the associated script, it will run that script to completion before doing anything else. So, you couldn't really export the note and then assign tags to it. This is because it would be overly difficult to assign those tags to the note because the old Run Script function is done running, so you would have to go and get that new note before assigning tags. That's why your current setup works well. It is assigning tags during the exporting script. So, what option do you have? You could create a Script Filter that presents all of your Evernote notes (and you can filter search down using keywords). Run this first and save the Tag you choose. Then run the export script and get that tag and assign it. 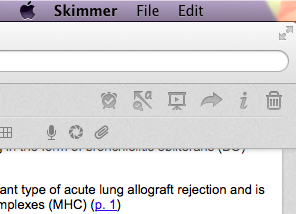 Note, however, that this also has a limitation because you could only choose one tag via Alfred's interface. You can't select multiple items. 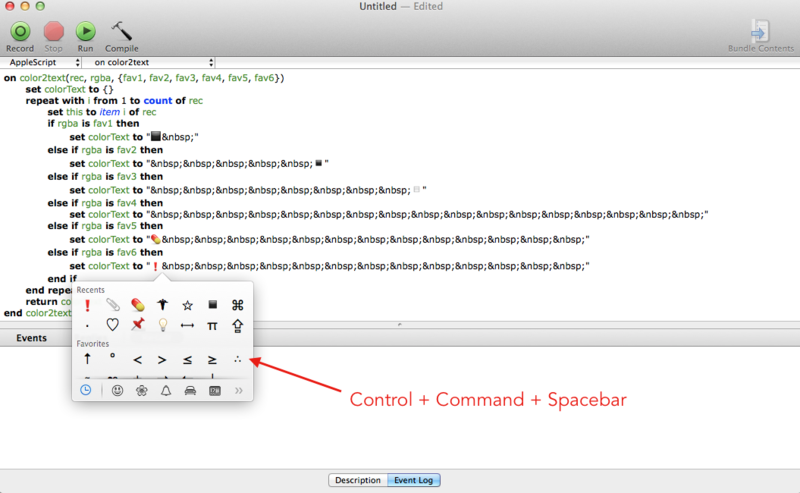 All that to say, I would def stick with your current Applescript set up. Thanks for the insight. I'll keep the Applescript as time is currently my biggest enemy. Maybe when classes are over in a few weeks I'll get acquainted with Alfred, but it'll have to be in between beer and fishing. I plan on doing copious amounts of both. I just want to say: thank you smarg19 for making this script, this is exactly what I was looking for. And also thanks for DrLulz for the fork, the bullets are perfect for annotating articles. I'm having problems with opening hyperlinks in Evernote, I get the following message and I'm not sure what to do. It doesn't seem like anyone else is having this issue, and I apologize in advance if it's something very basic that I missed. 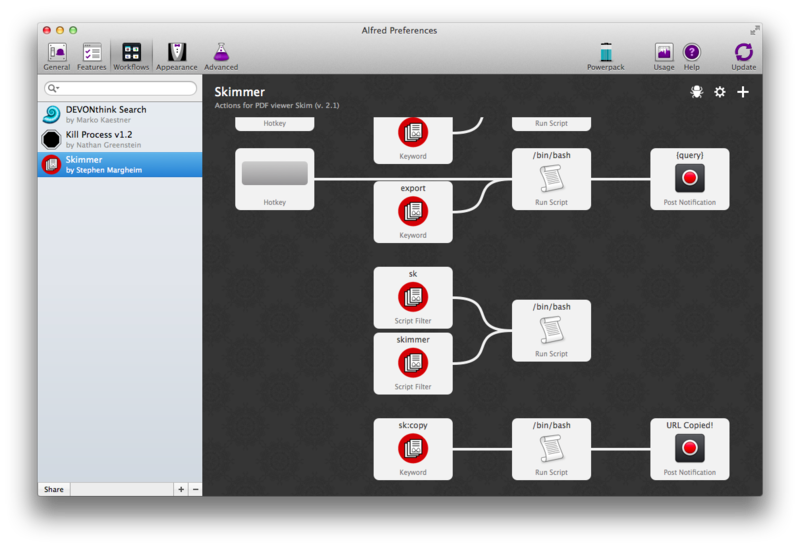 Can you open up the workflow folder and take a screenshot of the contents? I meant the actual Finder folder. Try sk:bug then select "Root". That's the workflows root folder. Oh shoot, sorry about that, must admit I'm quite new at this. Thanks for the patience. What an strange issue, it started to give another error about how it couldn't launch _skimmer. But after I ran the _skimmer application from the workflow folder manually (and of course, got an informational message about what the app does), all my hyperlinks now function as intended. Good god, it even works perfectly with files managed with Devonthink (which makes sense I guess, since DT really just buries files in its own structure). This is friggin amazing. Going to try to set up DrLulz's fork as well, each are definitely useful in different scenarios. With this, it's time to move from Onenote to Evernote, and can't wait to incorporate an iPad into the workflow eventually too. Thanks again for your help and the script! This was very valuable use case tho. It appears that the app doesn't register the URL scheme with the OS until you run it. I'll need to add this to the README. Thanks for the helpful info. It's definitely a strange problem, I'm glad it's somewhat useful for improving the program! The error with not being able to open _skimmer happened again today, and was again fixed by running the _skimmer program manually, so it doesn't seem to be a permanent problem/solution (for me). (not pictured: spinning beachball). Also it's really not a big deal, I never restart the computer anyways. I'm not sure what's up. I've tested a few things, and it's working well for me. Without that error message, I'm not sure I can guess at what the problem is. I just love this idea. I have been looking for this for years. I installed it and ran the _skimmer.app standalone. 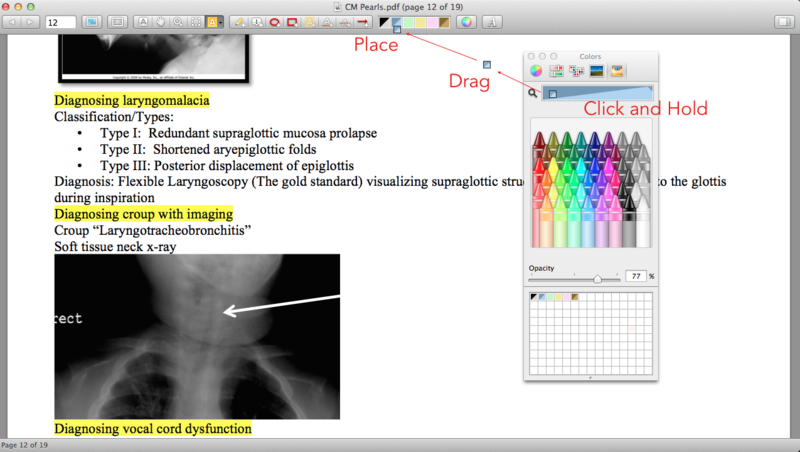 I am now able to open PDFs from evernote in Skim, annotate and receive the annotations in Evernote. The problem I have is when I try to go to the pages from the links in the synopsis I get the error from Skim File could not be opened. The file doesn’t exist. Also, I assume if look through the workflows I will find a way to disable the index page prompt. Is that correct?